How do I get permanent residence? 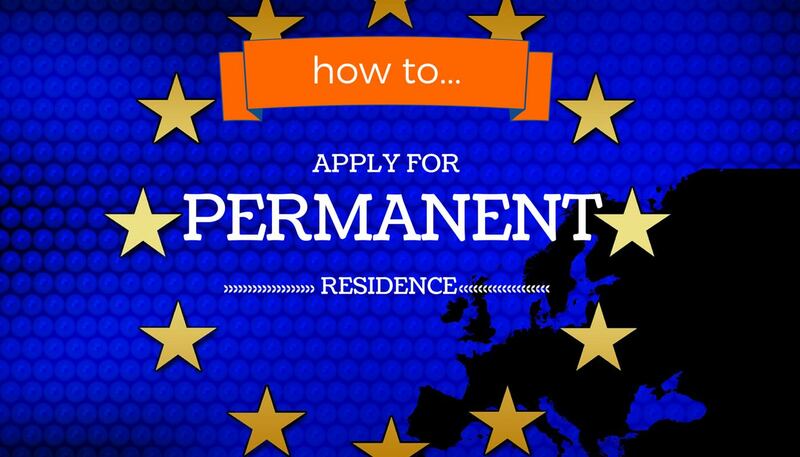 Do I need to use the official paper EEA(PR) form to apply for permanent residence? Should I use the online version of the EEA(PR)? What evidence do I need to include in a permanent residence application? What should I do if my permanent residence application is refused? The Brexit vote to leave the EU has caused huge anxiety amongst EU citizens and their family members living in the UK. The UK government continues to advise these citizens not to make applications for proof that they have the right to permanent residence under EU law. It is asking them instead to wait for the implementation of a new process later this year, with the promise of a shiny online portal and reduced evidential requirements to attain “settled status”. People who already have a permanent residence document, which the UK government will eventually cease to recognise, will also be able to use this process to exchange it for settled status. There are still some people who may nevertheless be applying for proof of permanent residence – if they need it to apply for British citizenship, for example. As this article – orginally written before the Brexit vote – is still widely read, I thought it best to update it for those people who have decided to continue with a permanent residence application rather than waiting for settled status to come in. Many thanks to Nick Nason for his assistance with the update. People interested in making an application for settled status instead of permanent residence should read the Free Movement blog posts on the legal agreement and the practical process. Whilst the first five years of residence depend on being a worker, self-employed person etc, after this time has elapsed the person can lose their job, cease economic activity or cease being a family member of an EU citizen who is exercising Treaty rights, but will still be entitled to reside in the EU member state concerned. So an EU citizen from outside the UK will automatically qualify for permanent residence after five years of living in the UK while exercising their Treaty rights and qualifying under the Citizens’ Directive. If the EU citizen choses to do so, he or she can apply for a permanent residence card as evidence of possession of this right. There is no need to apply for a permanent residence card in order to acquire the right of permanent residence. The card merely acts as evidence. Nevertheless, for practical purposes many may well choose to apply for a permanent residence card in order to have proof that they possess the right and as a matter of convenience. There is an additional reason why a person might choose to apply for a permanent residence card: because he or she is not sure whether he or she does possess the right and he or she seeks confirmation one way or the other. The acquisition of permanent residence can be quite complicated in some cases, for example where there are gaps in employment or self employment, earnings have been very low or the person needs to rely on what are called “retained rights of residence” (see below). In most cases, though, it is straightforward. A family member of an EU citizen who engages in one of these activities will also qualify for permanent residence after five years. There are certain circumstances in which a citizen may exercise free movement rights in his or her own member state relying on either what are known to lawyers as Carpenter or Surinder Singh rights. What counts as work, self employment, self sufficiency and study and who counts as a family member for the purposes of EU law are too big a subject to explore here but is dealt with in my ebook on EU free movement rights. A person who is unemployed may still retain their worker status in EU law for a certain period of time, for example, and the source of self sufficiency can be in part from a family member from outside the EU. You can also read the two key legal documents on free movement rights for yourself. The first is Directive 2004/38/EC, commonly referred to as the Citizens’ Directive. The second is the UK’s implementation of the Directive, the Immigration (European Economic Area) Regulations 2016 (SI No. 1052). Where the UK regulations do not accurately reflect or transpose the Directive, the Directive takes legal precedence in the courts (until Brexit, at least). Like the other rights of EU citizens in the Citizens’ Directive, permanent residence is an automatic right that operates by law: a successful application for a permanent residence card is not necessary in order to possess the right. It operates like nationality law. A person is born with a certain nationality but is not born clutching a passport: an application can be made later for a passport if the person wishes to travel, though. However, the flip side of this coin is that five years of possessing a residence certificate or card does not automatically qualify the holder for permanent residence. What matters when it comes to qualifying for permanent residence is whether the person was genuinely qualifying under the Citizens’ Directive for a period of five years, not whether the person held a residence certificate or card. This means there can be some controversy about whether a person does or does not possess permanent residence. Pierre is a French national who came to live and work in the UK five years ago. He got a job immediately on arrival and successfully applied for a residence certificate within weeks of arrival. After three years, he lost his job and he has not worked for the last two years. It may be the case that Pierre does not qualify for permanent residence. Depending on the reasons he has not worked and whether he has been looking of more work, he does not obviously qualify for permanent residence because he has not been a qualified person for the final two years of the five year period. The fact that he possesses a residence certificate is not, by itself, sufficient to prove that he qualifies for permanent residence. If Pierre could show that he had genuinely been seeking work and had a genuine prospect of being engaged he might qualify for permanent residence that way. There are some further provisions of EU law that might protect Pierre’s position as well, such as if he had retired or suffered an industrial accident. These are discussed further in the ebook. This means that when applying for permanent residence, the applicant will basically need to submit five continuous years’ worth of the kind of evidence that is necessary for a residence card. It does not matter how a person has been a qualified person for five years: during a five-year period an EU citizen may have been first a worker, then unemployed for a few weeks, then self employed, then a student and still potentially qualify for permanent residence. To put it another way, any qualifying activities can be combined together to acquire permanent residence as long as they amount to five continuous years of some sort of qualifying residence. In addition, you can select any five year period of residence by which to qualify. If you previously worked for five years but have been out of work for the last five years, you can use the earlier five year period of work in order to qualify. Even though permanent residence was only created as a right by the Citizens’ Directive on 30 April 2006, earlier periods of residence under previous EU law provisions can count towards permanent residence and in fact can have created a right of permanent residence, even though the right did not actually exist at that time. In the case of C-162/09 Lassal, a French national had lived in the UK working and seeking work between 1999 and 2005. She then left the UK for a ten-month period, returned to the UK to look for work again and then applied for income support in November 2006. Her application was refused on the basis that she had no right to reside. The Court of Justice of the European Union held that by November 2006 Ms Lassal possessed the right of permanent residence owing to her earlier five years of qualifying activities, even though at that time the right of permanent residence had not actually existed. These categories are replicated in the UK regulations at regulation 5 under the title “Worker or self employed person who has ceased activity”. Despite including the word “permanent” the right of permanent residence may be lost in certain circumstances, including through absences in excess of two years or due to public interest deportation action against the individual. Deportation proceedings will usually only be initiated against a person where he or she has committed a criminal offence. Further information about deportation in the European context can be found in this detailed post. As mentioned above, Brexit puts things in a state of flux, and people considering a permanent residence application will want to be aware of its impending replacement with “settled status“. For those proceeding with a permanent residence application: you need to have been residing in the UK as a qualified person for five years. Possession of a residence certificate or residence card is not enough by itself, because these are always issued for five years and a person might cease their qualifying activity during the five year period. The same is true when applying for a permanent residence certificate or card: what is needed is evidence of residing in the UK as a qualified person or family member for the required five years. Everyone else can apply online. An online applicant can use the passport checking service and get their passport back straight away while the application is decided. The online version is simpler than the form because only questions relevant to your situation are shown. However, the online version also has some disadvantages. It is not possible to ignore any questions. Also, the Home Office does not state anywhere that online applications will be decided any quicker than a paper application. I discuss these issues a little and do a video walk through of the online process – as it operated in October 2016 – in this blog post. The type of evidence required will therefore depend on how the person qualifies for permanent residence. To put it another way, the same kind of evidence needed to obtain a residence certificate or card will be needed for permanent residence, but this time five years’ worth of it. The evidence suggested on the EEA(PR) form itself is generally reasonable and proportionate. The same cannot be said of the evidence that is suggested in the accompanying guidance notes. These guidance notes even use mandatory language (“must”), which is legally wrong. The documentation you need to send us along with your application is the same as the evidence required for a Registration Certificate, except that you must provide proof that you have been resident in the United Kingdom for a continuous five-year period and that you were exercising treaty rights during this time. Examples of how you can prove that you have been resident include tenancy agreements, utility bills and bank statements. Examples of the evidence to support exercising treaty rights can be found under the Registration Certificate section of these guidance notes. You will need to provide documentation which confirms that all the family members included on the application form have been resident for the full five-year period. In the case of children, this may include school or nursery letters or immunisation records. There has been no change in EU law since that old guidance was withdrawn at the start of 2015 by the Home Office; there is no prescribed list of documents that must be submitted. P60s for each year in which you were/your sponsor was employed. employment tribunal judgment relating to the employment. In fact a letter from your employer or employers and/or employment contract(s) and P60s should be more than sufficient, with any gaps around the P60s filled in with wage slips and bank statements showing receipt of wages. Bank statements do not have to be submitted as a matter of law, but many elect to submit them to minimise the possibility of problems with the Home Office. Personal expenditure can be redacted (blacked out with a marker pen) from bank statements; Home Office officials only need to see the money was genuinely received, they do not need to know what you spent it on. Maurice is French and has lived and worked in the UK for five years. He has therefore automatically acquired permanent residence. If he wants to obtain a residence certificate as proof, he will need to submit evidence of the five years of employment. This might take the form of four years’ worth of P60 documents and because he has not yet received the latest P60 also wage or salary slips covering the final year. The documentary requirements set out in the guidance notes for a self employed person are preposterously complex, filling an entire annex to the guidance. This is dealt with in more detail in the ebook but the basic position is that you need to submit enough to show you are genuinely, lawfully self employed in genuine economic activity. The EEA(PR) guidance notes can be used as a guide and checklist but remember that you need to prove your entitlement to permanent residence using documents that can not easily be forged or manufactured; you do not need to submit every single document suggested by the Home Office. Where your application for a permanent residence certificate or card is based on retained rights, appropriate evidence will be needed depending on how the rights were retained. For example, evidence that the EU citizen was still working at the time he or she died or at the time that the decree absolute was issued may be necessary. For naturalisation applications by an EEA national or family member to become a British citizen, see this blog post: EU nationals must apply for permanent residence card for British nationality applications. Do nothing and accept the decision. If the Home Office was correct, this is obviously the most sensible way forward! Further, you may have a higher chance of success under the new settled status system. Make a new application. If the refusal was because of incomplete or unsatisfactory (in the view of the Home Office) documents then you can always submit a new application with better and more complete documents. the cost and stress of going through an appeal. Appeals can be submitted online or by post. If your application is wrongly refused and you later prove that you did have a right of residence or permanent residence, you can pursue a compensation claim against the Home Office. Pursuing such a claim is not an easy thing to do and the vast majority do not consider it worth the stress and effort. This is a revised and updated version of a blog post originally published on 14 March 2016. Nick Nason contributed.